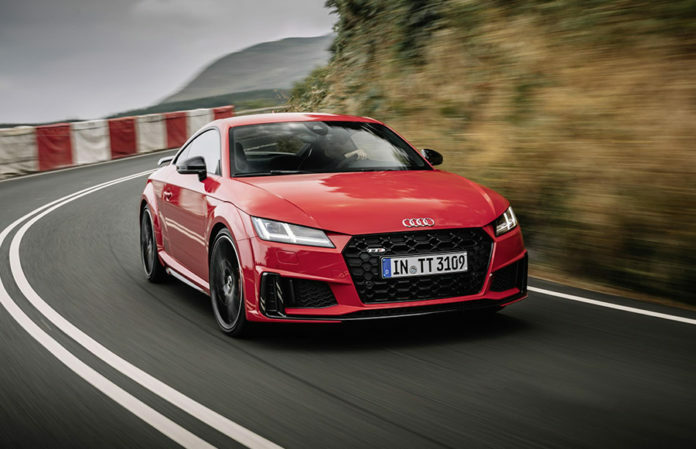 At twenty the Audi TT is in the prime of its life, and to ensure that this remains the case the third generation of the game-changing Coupe and Roadster has benefited from a comprehensive update. 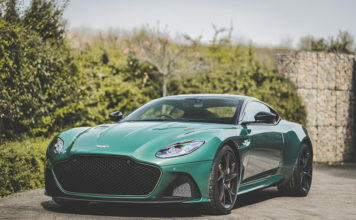 In its double-decade anniversary year enhancements to exterior design, power upgrades and an equipment uplift make the case for the compact sports car even more compelling, as does the inclusion in the latest range of a special edition ‘TT 20 years’ model drawing inspiration from one of the first concept cars and limited to just 999 examples worldwide. 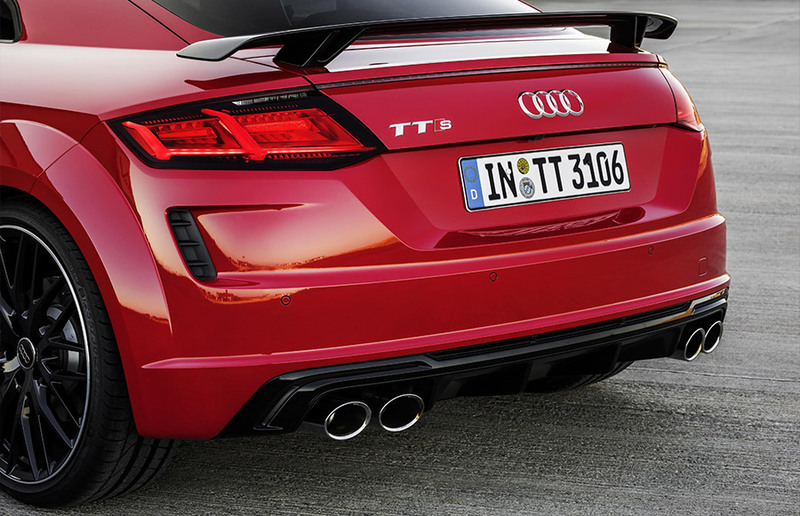 In its first flush the original Audi TT raised the bar for sports car design at virtually every level. It captivated the world from the moment it first appeared as a concept car in Coupé and Roadster form in 1995, and even more so when it took to the roads, virtually unchanged, in production form three years later. It remains one of the stand-out emblems of twentieth century automotive design to this day. In this milestone year the third generation successor to the trailblazing original car has been given a subtle visual lift. 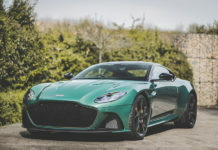 In all versions this brings a new three-dimensional Singleframe radiator grille design, larger side air inlets and new wheel and colour options. S line and Black Edition models are further differentiated from their predecessors by a new full-length front splitter flanked by vertical inlets, exclusive side sills with inserts and, at the rear, vertical air inlets with horizontal fins below the rear lights and a remodelled diffuser. For the S line a new 19-inch wheel design freshens the profile, and the Black Edition specification which sits one rung above also benefits from a wheel upgrade from the existing 19-inch to a new 20-inch design. 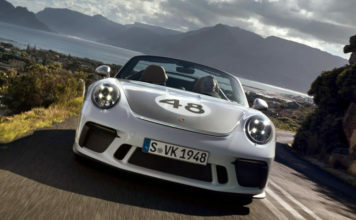 It is also set apart by the addition of the fixed rear spoiler previously reserved for the mighty TT RS as a replacement for the current speed-dependent active spoiler, which becomes a no-cost option. The TTS Black Edition also receives this upgrade. To round off the exterior changes a new turbo blue paint finish has been reserved for S line and Black Edition models, while the new colours cosmos blue and pulse orange have also been added to the palette for the range as a whole. Inside, a number of detail enhancements further strengthen the appeal of the TT as a performance coupé that also makes light work of everyday duties. Sport and S line versions receive folding door mirrors and heated seats, and on top of these the S line specification is also enhanced by the addition of even more supportive Super Sports Seats. The upgrade from there to Black Edition now brings the addition of Piano Black inlays and a new Chrome Slate Grey finish for selected interior elements. The ‘touchpoint’ changes to the latest TT go hand in hand with enhancements that are less immediately noticeable. 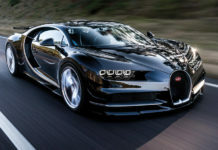 The 1.8-litre, 180PS TFSI engine which has powered lead-in models until now is replaced by a 2.0-litre TFSI with 197PS, and the existing 230PS 2.0 TFSI is boosted to 245PS. 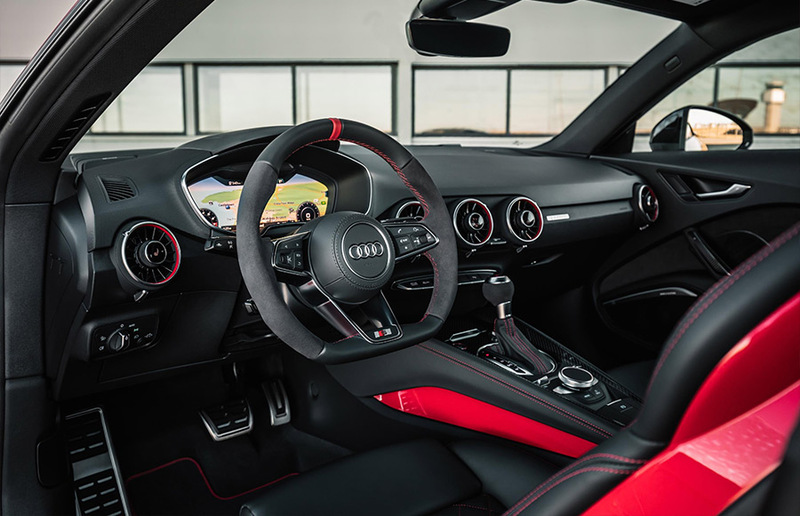 The two units with their new outputs are categorised according to the latest Audi naming convention, meaning the 197PS version is badged 40 TFSI and the 245PS 45 TFSI. In common with the rest of the Audi range the performance-focused ‘S’ model retains its original model designation. Like every open-top Audi, the new TT Roadster and TTS Roadster come with a soft top in either black or grey. 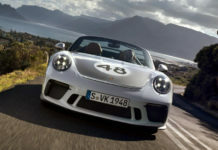 The soft top has a taut fit, and its excellent sound insulation makes it an “acoustic top.” At 39 kilograms, it is very light and doesn’t compromise the luggage compartment when it retracts at the touch of a button in around ten seconds at vehicle speeds of up to 31mph. 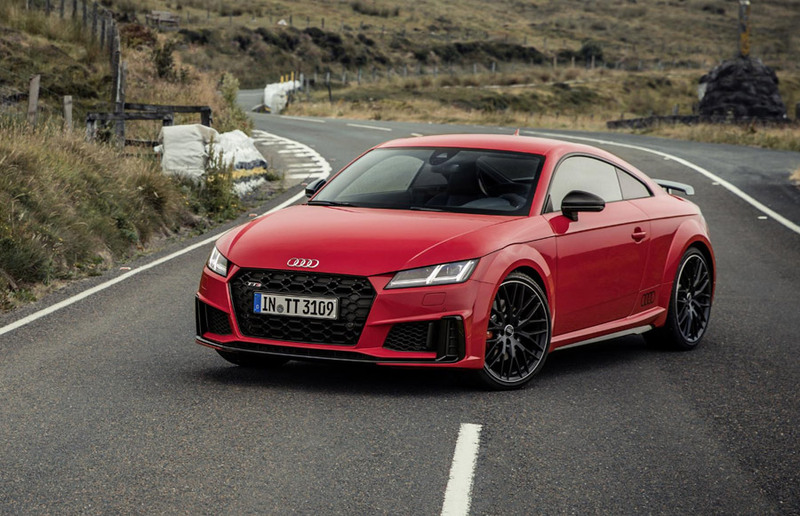 A total of 999 examples of the “TT 20 years” special edition will also be produced to mark the anniversary of this core Audi model. With seats finished in fine Nappa leather in moccasin brown with specific Panuka contrasting stitching the interior of the 20 Years special edition harks back to the early cars with their ‘Baseball Leather’ upholstery. 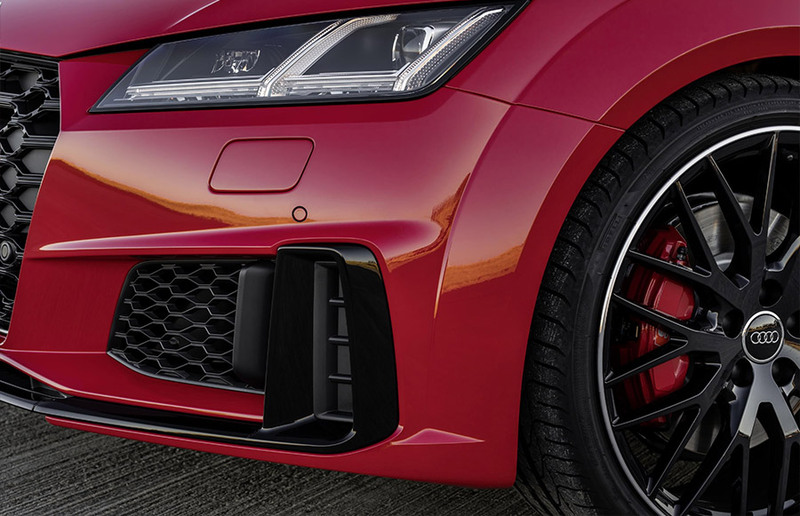 “TT 20 years” badges on the steering wheel and gear lever knob also mark the car out, as do stainless steel tailpipes in a specific design, Matrix OLED rear lights and matt-finished Audi rings above the side sills. The “TT 20 years” will be available in Coupe and Roadster body styles with either Arrow grey or Nano grey paint finishes.